I use Sundown Naturals sublingual B Complex (liquid drops). The bottle states it is a “vegetarian formula”. It provides 1200 mcg B-12 (as Cyanocobalamin). I buy it on Amazon but I have also seen it in some Food Lion stores. Okay, I’ll look into this one. It sounds like the one you are taking provides a number of different B vitamins–is that right? But it looks like they have a line that includes several different B12 options. Hello i have found sundown B-Complex in tablets, it has 6mcg, according to the dosage should i split the tablets I can take 3mcg twice a day? I’ve read that methylcobalamin b12 supplements are better for you than cyanocobalamin b 12 supplements. What is your opinion on the matter? What do you think about nutritional yeast, as far as most of the nutritional yeast marketed to vegans has lots of synthetic B vitamins (other than B12) added to it. And just a spoonful of the stuff gives you well over 100 – 200 percent of the niacin, B6, thiamin, and some other types of B’s. This might be a bad thing, right? I know for certain that the brands most vegans are buying are of the fortified version. This really seems like a reason to pause and reflect on this issue, for all of us. Thoughts? The B12 I want to take contains folic acid and vitamin B6 along with the B12. “Megafoods B12” is the supplement. What are your thoughts on the safety of taking synthetic folate (folic acid) as well as synthetic B6? 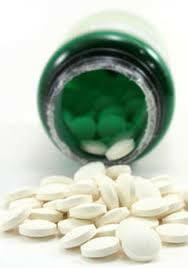 Some science has claimed the folic acid supplements are harmful, and causative of disease. Thanks for any thoughts on this. What lead you to choose cyanocobalamin vs methylcobalamin? Doesn’t ingesting cyanocobalamin introduce cyanide into your body? There is evidence that the methyl version may be less stable so that huge doses are required. And it just hasn’t been studied as well as cyanocobalamin. The cyano form does provide some cyanide but it’s a very tiny amount. I’m curious! Can you provide the peer reviewed study? I have studied bioinorganic chemistry, and from what I understand B12’s purpose is to transfer methyl groups, so buy ingesting the form without the cyanide group, I’d think it’d be more efficient? Cristina, cyanocobalamin is usually preferred because it’s not susceptible to oxidation. The literature generally states that it is readily converted so really no point in fussing about it. Here is a link for you. I don’t have access to this so I don’t know what it says. If you do have access I would greatly appreciate if you could report back here what it says. Do you have any thoughts on the safety and merits of also supplementing with other B vitamins, not just B12? And how about a broad-based multivitamin. Some people suggest these are not safe, as synthetic vitamins are toxic and not natural to human cells. Any thoughts? Thank you,Ginny. And one last thing…how about supplementing DHA by using a blend of oils such as in a supplement like Udo’s oil? It combines vegan DHA with flax oil, sunflower seed oil, coconut oil, and some other plant based oils for a complete combination of 3 -6 -9 oils. I am not plugging this brand, as their are several other just as veritable and quality brands out there. I’d just like your thoughts on taking these fats, as oils are often extracted from whole plant foods, where we should be getting our fats in the first place, right? I don’t think you need these specialized oil combinations. As long as you’re taking a DHA supplement and getting some omega-3 from plants like flax seed or canola oil and then getting the rest of your fat from healthy foods like nuts and vegetable oils, you don’t need any special blends. He also believes in detox diets. I wouldn’t take his opinions too seriously. And I wouldn’t look to chiropractors for advice on nutrition. I use Whole Foods brand Vitamin B12. It’s 500mcg as cyanocobalamin (no folate or other micronutrients). I use Whole Foods brand also. Whole foods brand has stearate. I use the target brand one right now. I had looked at these, and they all seem to be methylcobalamin. I also take Nature’s Own, blend it into our homemade milk, equivalent to what’s in commercial fortified milk. I emailed the Nature’s Own a while back to be pedantic, they said it’s suitable for vegans. Seems to be in most Australian supermarkets and chemists. Thanks for this info–this is methylcobalamin, though, not cyano. Pharmassure B-12 says vegetarian on the bottle. It has 500 mcg of cyano. 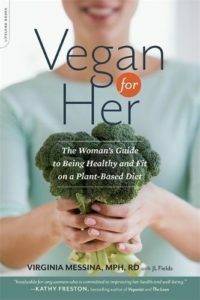 Hmmmm… “Vegan for Life” (Chapt 3, “Vitamin B12: The Gorilla in the Room”, section “Meeting Vitamin B12 Needs” – location 750 in the Kindle version) says I need to take 1,000 mcg of B12 three times per week as a regular supplementation dose. I’m confused… is the 1000 mcg 2x/week in this post an updated recommendation…? Or was 3x/week a typo…? I think the Vegan for Life rec was a typo or just a mistake since Jack and I both recommend 2x per week. But really, 2-3 times per week is reasonable. I use Deva which I buy on Amazon or Veganessentials.com. It’s methyl though. Wait — cruises aren’t the ultimate source of scientific knowledge??? I am taking Dr. Fuhrman’s daily multivitamin for women, which includes 40mcg B12 as methylcobalamin. I am not taking any additional B12 supplement. Now I am confused because I trusted Dr. Fuhrman to provide everything I needed in his multi, and to provide a product that stays on top of the most current research – do you think I need to switch to cyanocobalamin? 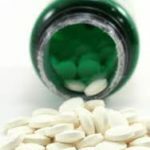 I think you need to switch to either cyanocobalamin or take a much bigger dose of methyl–probably around 1,000 per day, although it’s not really known how much is enough. Favourite is LifeGive B-12 Forte from the Hippocrates Health Institute. If you’ve ever heard Brian Clement speak you know how strongly he recommends B12 for everyone not just vegans. My second preference is Garden of Life Vitamin Code Raw B-12. I also use Whole Foods brand vitamin B12 500 mcg in a sublingual/chewable tablet with 100 tablets per bottle at ~$6-7 a bottle (have to get chewable since my partner can’t swallow pills very well). It does have magnesium stearate but the bottle indicates the supplement is vegetarian. I’ve been reading about the difference between cyanocobalamin B12 and the methylcobalamin B12, and I choose methylcobalamin, I used Kirkland’s B12 (Costco’s brand). Is kirkland b12 vegan? I had some in my cabinet before i went vegan, is there any animal ingredients in it? This blog is excellent – reasoned, practical and extremely well written. 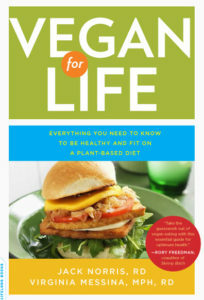 Though I am not yet vegan, I am working toward that, and I am so glad I have this information as a reference. Yes, I’m concerned about that, too. I think it’s less likely to be a problem with something like B12 than with herbal extracts, but it’s true that it’s hard to know what you’re getting with supplements. One thing you can do is look for those that carry a USP logo on them which shows that they have been verified to contain what they say they contain. I’m less concerned about their nutrient supplements than the herbal ones, but I agree that it’s a legitimate concern. I don’t think your supplement absolutely has to be chewable or dissolvable, but it could help you absorb the nutrients in the pill. In your case, it makes sense to choose one that you can chew (or that dissolves). what about intramuscuar? which is the dose?? Alejandra, I don’t know what the dose is for intramuscular injections. It depends to some degree on the situation and is actually a medical issue rather than a nutritional one. So your doctor would know more about this. Thanks for this article, it’s very timely for me as I just picked up a B12 supplement again the other day, after being without for quite a few months. I picked up a brand from Bellingham Community Co-op which seems to be their own brand. I was a little confused by the options in store, so I’m pleased to see this one meets all your recommendations! i take NOW 1000 B 12 mcg supplements. NOW is a local Chicago company with extremely high quality control standards and have been in business 40 years. They recommend to take 1x per day but I only take twice a week. It says. Vegan on the bottle. The cost is very reasonable as 250 lozenges cost $11.00. Gary, I did check out NOW supplements because I know this is a good vegan brand. But I couldn’t find anything that met my criteria. The one with cyanocobalmin also had folic acid. And the other was methylcobalamin. Did you find something different from this? I was told that you could take 2500 mg sl once a week. I have been doing that for awhile now and blood levels have been ok. Is this not appropriate? What if blood levels go higher than norm? Is that a problem? No, it’s not really a problem if blood levels go higher than normal–although it can be a sign that you can back off a little bit on supplements. It sounds like what you’re doing is working for you! 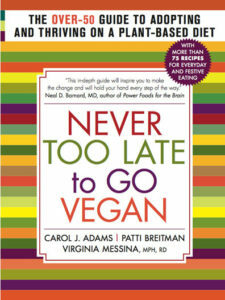 I have been going by your Becoming Vegan book and use B12 fortified nutritional yeast every day (2 T in the morning). I also drink a couple of cups of fortified soy milk in the evening. Is this not enough? Should I be switching? Raisa, what you are doing is actually the same as my first recommendation–to consume 2 doses of B12 per day providing 2.5 mcg per dose. So I think what you are doing is fine. Is the Sundown Naturals Sublingual B-12 6000 Mcg Tablets, 60 Count good? Because I can’t find a very low mcg B12 for the recommended daily dose, I’ve been giving my sons 750 mcg of cyanocobalamin (Whole Foods brand) twice a week. I am wondering, is there no concern about cyanide for children at these doses? I can split the 500 mcg tablets into fourths with a pill cutter and just give it to them every day, but that would be 125 mcg, above the recommended daily dose, which is 20-75 for their age group, according to Jack Norris…I don’t think I can split them smaller than that. Would that be better? 700 mcg per week vs. 1500, but more per day than recommended. On thought, I’m going with the split pills, daily dose. I think what you’re doing right now is fine. You are on target with the dose, and it’s an amount that is providing only the tiniest amounts of cyanide. And even with a few servings per week of fortified foods or animal foods, I’d stick with your current approach. Thank you for your wonderful service through this blog, Ginny. I really appreciate your knowledge and generosity to share it. Yes, alcohol can definitely affect B12 levels. I don’t know why your friend would do better with the methylcobalamin than cyano, though. There are all kinds of possibilities, including different dosages or even the quality of the supplements. As for the highest amount to take, there is no good info on that and excess B12 is generally excreted from the body. But I wouldn’t go crazy with it and would try just a little bit above my recommendations if you feel that you need it. Nature Made told me via email in 2012 that their B12 in tablet form contains no animal-derived ingredients. So unless something has changed in the formula since then, it should still be vegan. I have been a vegan since 1992 and have never taken a b12 supplement. I recently had my b12 tested and it was normal. I believe this may be because I regularly ingest nutritional yeast. What is your view on this as an alternative to b12 supplementation? If it’s nutritional yeast that is grown on a B12-rich medium, then I think it’s a good way to get B12. I just had my levels checked due to “not feeling myself” and having muscle spasms and other motor function issues. My level after a 12 hr fast was 268. My doctor said it was way low and to get some B12 complex vitamins. He did not recommend cyno, methy, adenosy, or hydroxo …. This is what brought me here, research! thanks for your article re B12! i use MegaFood Balanced B Complex (megafood.com); it’s label shows, Certified Vegan vegan.org. the Supplement Facts show Vitamin B12, 25mg S. cerevisiae 125mcg and if i’m understanding correctly, that’s 2083% of the Daily Value. i take 1/2 tablet 2-3x/wk. I’ve been taking NOW B12 (cyanocobalamin) 1000 mcg twice a week for quite some time. I’ve been vegan for many years. I was recently diagnosed with B12 deficiency in spite of this. My B12 level was normal, but I had an elevated methylmalonic acid. I’ve had no symptoms of B12 deficiency. I was told by MD to increase to 1000 mcg daily and will be re-tested after 6 months. I some time back read the Vegan Health text ( http://www.veganhealth.org/b12/noncyanob12 ) on different forms of B12 and have since then hedged my bets. I take 1,000 mcg cyano twice a week and 1,000 mcg methylcobalamin once a week. But that text also mentions a third form adenosylcobalamin, which I’ve never seen in listed in a product. Do you have any comment on that third form of B12 Ginny? I’ve been trying to find a brand that is effective and safe for my 2-year-old daughter. I would prefer not to give her a multi-vitamin chewable, but all the b12 sprays (which are mostly methyl anyway) I can find say “not intended for children” on them. As a nutritionist, Ginny, what is your take? My daughter currently drinks enough fortified soy milk every day to be ingesting about 100% of the adult intake recommendation, but I am hoping to decrease her intake of that soon (it’s got more added sugar than I’d like). The two nutrients it provides that I can’t seem to find good replacements for are b12 and iodine. She already takes a chewable D supplement, and other than that her diet should be giving her what she needs. Your advice would be so much appreciated! Ginny, all my vegan vitamins and supplements are from Deva (on Amazon). Just confirmed the B12 is methyl with 400 mg folic acid. I take one every 3 days. Am also getting another 400 mg folic in their daily multi. Is that too much and do I need to switch to a cyano B12? I take Vitamin World’s B12 it’s sublingual,5000MCG, is that too much? My son(13 yrs. old) and I take it once a week. I was under the impression that methylcobalamin was the best form of Vitamin B-12 to take. Why is cyanocobalamin superior? I, too, am under the impression that methylcobalamin is a more usable form than cyanocobalamin. I take it only intermittently (working on doing it regularly) and my serum B12 level was ~700. I use Source Naturals and now Joel Furhman’s prenatal vitamin which has folate instead of folic acid. I buy SOLAR sublingual B12 100mcg. It just says cobalamin but does not specify methyl or cyan. it does mention vegetable magnesium stearate. I do believe it is all vegetarian. I did ask for vegetarian source at the health food store. I just started taking B12 after reading about its importance. I have been vegetarian (no vegan, I eat some dairy occasional organic eggs, but not daily). I have been following this diet for 42 years. Great article Ginny – thank you so much! I learned the hard way that I couldn’t take 1000 mcg B12 daily (I’d heard that extra is excreted.) My blood levels were quite high. I’m happy to see that your recommendation to take 1000 mcg twice weekly is what I’m currently doing. I take Garden of Life methylcobalamin spray. It provides 500 mcg/spray and I take one spray/day. I recently had my vitamin B12 level checked and it was at 916 pg/mL. The range is 211-911 pg/mL. I think it’s safe to assume the methyl form is working appropriately. I take methylcobalamin, which is the superior form of B12 and is better assimilated into the body. Carolyn, do you have a scientific (i.e. peer-reviewed, published) source for your claim that methylcobalamin is “superior”? All I could find in the literature is that cyanocobalamin is readily converted to methylcobalamin etc in the human body and has the added advantage of being stable (methylcobalamin is susceptible to oxidation). I would be most obliged if you could post links to the science. Cyna has to go through a conversion process in your body to turn it into a Methyl for your body to absorb it. Why would anyone recommend otherwise? Personally I use Jarrow’s 1000 mcg daily. It’s Vegan friendly. To shake things up, I’ll use Garden Of Life’s organic spray. I have been taught that Methyl- and not cyano- is the preferred one. Why do you go with cyano- and not methyl -? How to increase Vitamin B12 content in a person aged 73 (male)? Bluebonnet Earth Sweet Chewable Vitamin B12 5000mcg has the Vegan icon on the bottle. In Canada I take Jamieson Natural Sources B12, 1,200 mcg twice a week. It is Cyanocobalamin which gradually releases the B12. Also contains cellulose, diccalcium phosphate, vegetable magnesium stearate, water-soluble cellulose, Brazialian palm tree wax. No salt, sugar, starch, gluten, lactose, artificial colors, flavors or preservatives. I have been taking NutraBulk B-12 sublingual lozenges, 2500 mcg once a week (well, trying to remember to take them weekly). They specify vegetable magnesium stearate, and they use cyanocobalamin. I’ve been vegan for 8 or 9 years (vegetarian before that since 1995) but have never had my B12 levels checked. Need to add that to my next blood work. Hello, I take Phoenix Long-life 2000 micrograms weekly. What do you think? Thank you for an interesting article. I was just wondering if you have more information regarding the differences between different forms of B12. I see many asking in the comments about it, maybe you could share your views in the article? Personally I have settled for 1000ug hydroxycobalamin drops ~1/week, which seem to be working, but I would be interested in what litterature says about it. Thanks! Yup, I’m working on a primer on B12 that will address these differences. I’m currently taking a Sprout’s brand methyl B-12 at 1000 mcg per day, but I do have a bottle of the Nature’s Bounty (2500 mcg cyanocobalamin) product on hand that I was planning on using after I’d gone through the bottle of the methyl B-12. The methyl B12 I have is in a dark glass bottle, but I’m wondering if I should just get rid of it and switch to the Nature’s Bounty one I have immediately. I also drink several sevings of fortified plant milk and use fortified nutritional yeast daily. The 1,000 mcg of methylcobalamin might be okay, especially if it’s protected from light. But again, we just don’t know for sure how much methyl is enough. Thanks for the reply ! I’m thinking I might just use up the rest of the methyl to avoid wasting it and in the future just buy the cyanocobalamin form. The methyl product I have open is stored in a dark medicine cabinet and the bottle’s glass is quite dark, so it’s *probably* protected from light, though I’m considering moving it to my refrigerator to further slow degradation. Hi Ginny! Thanks for the article. I have noticed that most (?all) of the B12 supplements on the market are sublingual. Why is that? I know people with true pernicious anemia, who don’t make intrinsic factor in the stomach, cannot absorb B12 through the GI tract and therefore need B12 either in an injectable or sublingual form. But for those of us without pernicious anemia, is there any difference between sublingual and a regular oral tablet? Or are the manufacturers just making the sublingual to capture the pernicious anemia market? I think they are probably marketing this as better because it is absorbed directly without digestion. And as you noted, it could be for some people. For most of us, swallowing a pill is just fine. And chewing it before you swallow it could add a little advantage. Hi thanks for the helpful info & comments of fellow readers. Thanks for the article. Didn’t realized twice a week (1000 mcg) would be enough. We take Pure Vegan B 12. It provides 500 mcg. Now recently I have purchased Garden of Life organic B 12 which is Non Gmo, organic and gluten free certified. I have Vit B-12 deficiency. I’m in need of a Vit B-12, 500 mg, sub-lingual that is safe for someone with Fructose Mal-absorption. I can not have any artificial sweeteners, juices, molasses, honey for sweeteners. No dairy, wheat, gluten, and chicory/inulin. Any suggestions for where I’d find this. I haven’t had any luck so far. Angelica, I don’t think this article mentions methylcobalamin, does it? I think that the recommendation for a daily dose of B12 is too low (the article is several years old), but other than that, the info seems good. The Vegan Society is generally a good source of nutrition information. I see some others with kids are having a hard time finding a B12 supplement too. My baby is only 14 months old and it’s recommended she only take 10mcg/day of B12. Help! I cannot find any tablet/liquid/spray anywhere close to this low amount and I do not want to give her a mega dose. In fact, I called MyKind organics about their organic B12 spray (500 mcg) and they said they would not recommend giving her this high of a dose. I do not want to rely on fortified processed cereals for her to get this nutrient and currently she is not drinking enough fortified non dairy milks to meet this requirement. Kim, if she is getting vitamin B12 from formula or fortified soymilk and is consuming it several times a day, she doesn’t need that 10 mcg. She would be fine with 2 to 3 servings per day with each providing about 1.5 mcg. I eat a plant-based vegan diet and have been taking trader joe’s b-complex daily supplement (vegan, with b12 as cyanocoblalamin) for about the past seven years. I’ve recently read articles/blogs that indicate I should not do this, especially because there is 400mcgs of folic acid in the tablet. There is also 50mcgs of b12. I looked into the nature’s bounty b12 as recommended above, and the label instructs taking one 2500mcg daily. Is this right? I’m a little confused about the amount. Though I would like to start taking this nature’s bounty tablet, I’m concerned about taking too much… but I do prefer to take a supplement daily. Any advice will be gratefully received! Rebekah, you don’t need that much every day. You could take the Nature’s Bounty supplement a couple of times per week and that should be plenty. I have read taking more than 20mcgs of B-12 is not recommended because it can cause rosacea outbreaks (which I have) and etc. Is that not correct? There are a few case studies suggesting that some people may have skin reactions to vitamin B12. But there isn’t much research on this and I don’t think it’s very common. And almost all B12 supplements have much more than 20 ug. I use DEVA’s vegan daily multivitamin which has 100 mcg of cyano. I looked at Nature Made’s ingredients, and they contain gelatin, which is not vegan. Yeah, me too! What do I do about that? I am taking a liquid spray b12 from wholefoods. But what about my kids…what is the dosage for them and where is best to buy for them. I have been giving them the spray as I know you can’t overdose on b12 but it does say not intended for children. I can’t seem to find one for them that is not a multi vitamin. A spray seems to be the way for kids though! The Nature’s Bounty option is 2500 mcg, but the instructions say to take daily. How frequently should it be taken? 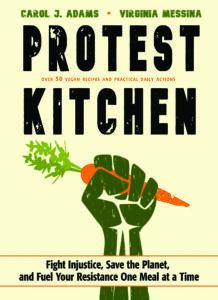 Hello Ginnie, and HEALTHY, HAPPY VEGAN NEW YEAR!!! I just bumped into your article for which thank you so much as we need someone to scrutinize our vitamins and other nutrients! I notice you didn’t list Deva Vitamins. I take their B12 1000 mcg plus, as you probably know, B6 and Folic Acid. And I only now realize it doesn’t contain “cyanocobalamin”, only “methylcobalamin”. I am quite surprised you are recommending cyanocobalamin. It is not as bioavailable as methylcobalamin and so the body needs to convert the cyanocobalamin to the methylcobalamin. in addition, doesn’t the body then need to excrete the remnants of the cyanide after it’s been metabolized? Also no discussion of tablet vs liquid form. Cyanocobalamin may be stable but liquid will always be absorbed more efficiently than tablets. I use Vegan Safe Bioactive B12, which is a blend of methylcobalamin and adenosylcobalamin. it is made by Global Healing Center. I used to use cyanocobalamin to treat my B12 deficiency after being vegetarian for a long time, but after about a year, my hair started falling out. I no longer have this problem. Your explanation for why cyano is better than methyl is really not impressive. You prefer cyano because there is more research done on it? I have been taking the methyl form for several years (prior to that have regularly used Red Star nutritional yeast, and I am a 45-year vegan. No signs or symptoms of B12 deficiency. Everything I have read leads me to believe the methyl form is superior. Yes, the fact that there is more research on it allows us to make appropriate recommendations to protect vegans against deficiency. Because of the lack of research on methylcobalamin, and the fact that we know it isn’t as stable or reliable, it’s difficult to know how much people actually need to prevent deficiency. Therefore, it is risky to depend on the methyl form of this vitamin supplement. That’s why vegan nutrition experts who have looked at the actual research recommend cyanocobalamin. I’m not surprised, though, that everything you’ve read says otherwise. There is tons of misinformation about this on the internet. And since it can take several years to develop a deficiency of B12, people may not realize that they are not supplementing appropriately. Hi! So I’ve been taking a B-12 (it’s cyano) and it’: 2500 mcg per tablet. The directions say to take one a day for adults. I’m a teen (vegan) and the supplement facts say that one tablet is 41,667% of your daily value. I assumed those instructions are for meat eaters. So now I’m really confused. I’ve been taking one a day for 2 weeks now and I thought tha maybe I was a little deficit but now??? Am I overdosing on B12? I have 2 boys, a 4 year old and a 1 year old. Can you please suggest the best cyano supplements for them? Is it ok to give our 4 year old a 500 mcg chewable twice per week? (According to the charts, he needs 1000mcg per week.) He drinks fortified milks and takes a multi (Fuhrman Pixie Vites) that provides methyl b12. How about my 1 year old? He is nursing and I supplement myself of course. Is it safe to give him a crushed tablet of higher dose re 500 mcg once per week? He sips fortified milk too. Of course the cyanide aspect worries me and I don’t want to mega dose. I greatly appreciate it. Thank you. 500 ug twice per week is fine for your 4-year-old. Is it possible to cut these pills in half? If so, then you could give your one-year-old half a pill, twice per week. I don’t know of any concern with those doses since it’s still a very tiny amount of cyanide. But if you’re concerned, maybe you could have them meet their requirements through fortified plant milks. Your baby could get enough with just 2 servings per day of 1/4 cup per serving. That would be plenty for him, especially since he’s still nursing–and since you said he’s already sipping these milks, he might be getting enough anyway without the supplements. Your 4-year old could get enough by consuming 2 servings per day of milk at 1/2 cup per serving. Or, if he isn’t a big drinker of plant milks, you could give him 1/4 cup poured over a little bit of fortified cereal. Not all plant milks are fortified, though, so make sure you read the labels and look for milks that provide 50% of the Daily Value per 8 ounce serving. If your little ones will drink these small amounts of fortified plant milks, I think this might be a more comfortable solution for you. This is incredibly helpful. Thank you so very much. I guess I was under the impression that supplementation was non negotiable, even with the addition of fortified foods, to the vegan diet. Is that incorrect? Cyanocobalamin is commercially prepared by bacterial fermentation. Fermentation by a variety of microorganisms yields a mixture of methyl-, hydroxo-, and adenosylcobalamin. These compounds are converted to cyanocobalamin by addition of potassium cyanide in the presence of sodium nitrite and heat. Since a number of species of Propionibacterium produce no exotoxins or endotoxins and have been granted GRAS status (generally regarded as safe) by the Food and Drug Administration of the United States, they are currently the preferred bacterial fermentation organisms for vitamin B12 production. Your recommendation of Cyanocobalamin over Methylcobalamin is consistent with Dr. Michael Greger’s recommendations, and for the same reasons — not enough research on methylcobalamin and possibly less stable. For people over 65 years of age, due to a decrease in ability to absorb B12, he recommends 1000 MCG/day of Cyanocobalamin. With this higher dosage, is there a corresponding increase in cyanide per Sublingual tablet, and would that level of cyanide on a daily basis be toxic? Also, the brand I am using is Mason Natural, available at Walgreen’s and Bed Bath and Beyond (in their stores that have a Harmon Drugs). The label indicates Calcium Stearate. Does that mean it is not vegan? I’m a bit late but as I see they’ve only gotten one mention I will add another for the UK-based Veganicity, very handy for those of us in Europe. All of their products are Vegan Society approved (so the stearic acid and magnesium stearate in there should be fine) and they have a 1000 µg cyanocobalamin supplement in the range. 2. I’m a smoker. I smoke less than other smokers but still like 2 packs a week. Would you suggest going with a supplement that contains methylcobalamin or should my body be able to turn cyanocobalamin into methylcobalamin? Ginny – These are the ingredients in the Safeway brand of B12 time-release,1000mcg. Is this what you take? Do you know if the “flavor” used is vegan? Thanks! Hello, I’m newly vegan, I see you recommend 1,000mcg twice a week but when I looked up nature bountys b12 is has a dosage of 2,500mcg and says to take daily? Is that too much? Reviews also confirm ppl taking it daily. Would I need to take it daily or would 1 pill weekly of nature bountys b12 2,500mcg be enough ? So confused to this b12 stuff, thanks . Radiance Platinum brand is also vegan! What about b 12 in a multiple vitamin? I”m confused about why you are recommending something that includes cyanide group. Everything I have read, except this blog recommends the methyl version. What is your take on B12 injections instead of oral supplements? My doctor’s office offers them, and I have gotten the injections 8 times. When tested, my B12 levels were on the high end (already had 3 weekly injections at that point). I don’t know the type or dosage in the injection, so it would probably be beneficial to find out? I just found a B-complex patch that I’m excited to try. My B12 and D are low and the company has both types of patches. The B12 is methyl but I think because it’s going through skin it will be better. I’ve already got labs set up for 3 months from now so that I can get some good before and after readings. Thank you for contacting us. The magnesium stearate in our B-12 Dots comes from palm oil. The product itself is listed as vegan friendly. It has no ingredients from animal sources, but we do not do vegan certifications on any of our products so it is not certified as vegan. Thank you for your interest in Twinlab. Hello, I was wondering whether or not to take a slow release supplement or a ‘quick dissolve”? The “safeway” brand mentioned above (that you take), I do not have access to, however it is slow release/1000mcg/twice a week. If I were to take a 1000mcg (or higher) but it is a “quick dissolve”, would this change how often I had to take the supplement? In other words, if the supplement is in the 1,000mcg range but is “quick dissolve”, should I take it twice a week, or daily? PS: Thank you for doing all the public intellectual work you do. I find this website and your work informative, and most importantly, sobering. As a vegan seeking scientific information, and then relaying it to others (esp. non-vegans), this is extremely difficult. 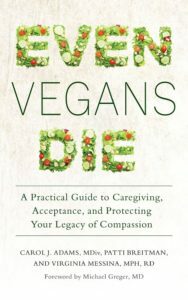 The difficulty could be summarized in your (also sober) review of the documentary “What The Health.” Your review helped reinforce my analysis of veganism, that is, alarmism and pseudoscience, or weak evidence, do not help the cause. Furthermore, veganism can certainly decrease health risks, but most importantly, that environmental concerns and environmental justice is a better lense to view veganism because it is not human-diet-centric. Evidence, moreso in this sense, suggests that 7 billion humans systematically killing animals is not “sustainable”, and THIS is easier to convince people of why to become vegan than shouting at them that “meat is carcinogenic”, whilst the same vegan goes to smoke a cigarette. Anyways, I will await your reply to my question! Thanks! Sorry I don’t have the reference but Nature Made supplements are the only ones that are USP tested. I have contacted Nature Made twice and they assured me their B-12 formulations are completely vegan. I didn’t ask about the other supplements because I use none. 70 years old, 40 years vegan. Hi I found Doctor’s Best which was reasonably priced at Sprouts. It’s the Chewable Fully Active B12 and it contains Magnesium Stearate (vegetable source). On the Supplement Facts it claims it is B12 (MethylCobalamin) 1,000 mcg. Are b12 gummies good for vegans? I always heard sublingual was best, but I want to try them! Ginny! – who pays your salary? Moreover, why do you assume that free thinking consumers have ever cared about what the FDA has to say about any supplement!? You suggest that we consume cyanide because there is not enough research? – THAT IS THE MOST RIDICULOUS THING I HAVE EVER HEARD!!!!!! Ginny, Thanks for the brand names. I needed a few that don’t come up with a regular search. Hope to see you a ICVN! do you happen to know if Safeway is USP verified? I can’t find them on any sites listed as such but Nature Made and Nature’s bounty seem to be. I’m very cautious about avoiding vitamin scams which most vitamins on the market seem to be scams. It seems I keep coming back to this topic. Methylcobalamin or cyanocobalamin? I read this article last May but my last bout of research pointed towards Methylcobalamin. With different recommendations it really is difficult to know what information to trust and I forget what my doctor originally recommended some years ago and whether she distinguished between the two forms or not. I have also relied on pharmacists’ suggestions. I prefer science-based resources and I definitely want a vegan source of vitamin B12. It’s interesting that a rep from Jamieson mentioned following Health Canada Guidelines – the link shared in the comments refers to cyanocobalamin and methylcobalamin, not specifically but interchangeably, with the recommended dose range 0.14 – 1000 Micrograms per day. Jamieson strictly seems to use Methylcobalamin. Jamieson brand vitamin B12 specifically lists it as “vegetable magnesium stearate”. Since methylcobalamin is the active form of B12 and is readily available for cells to use, many physicians, myself included, prefer the methylcobalamin form of vitamin B12 supplement for everyone. Two authors (R. Pawlak; M. Greger) recently asserted that the methyl group on methylcobalamin is removed before methylcobalamin enters the cell and the cobalamin is re-methylated by folate within the cell, thereby making the use of the methylated form unnecessary. This may be valid, but during my years in clinical practice, I have had several patients with persistent elevated homocysteine levels despite taking large doses of cyanocobalamin. When they switched to methylcobalamin, their homocysteine levels returned to normal levels. Since cyanocobalamin is less expensive, and if a person does not mind a tiny amount of cyanide in each dose, I would have no objection to that preparation being used long term. However, if homocysteine levels remain elevated, despite apparently adequate intake of cyanocobalamin, then I would recommend a trial of methylocobalamin at 1000 mcg per day for at least 60 days before re-measuring the level of homocysteine. If levels stay elevated despite treatment with methylcobalamin, a preparation such as Homocystex, which contains folate in the methylated form and other vitamins, may be indicated.